Podcast Ep. 114: Have I Outgrown My Friendship? 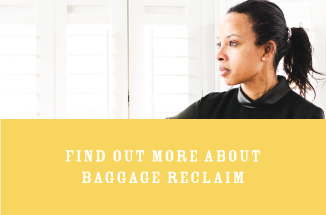 In this week’s episode of The Baggage Reclaim Sessions, we’re back on the topic of friendship. Sometimes we believe that we’ve outgrown a friendship (or that they’ve outgrown us). I delve into the main causes (life stage, personal growth and the friendship stagnating), why this leads to us sometimes distancing ourselves, and why we have to be careful of assumptions and judgements. Our friendships can travel down various roads on our journey through life and, yes, hit some bumpy patches, but this doesn’t have to mean that we’ve outgrown the friendship. It’s possible that, for example, two people can be in a different phase for a while, reconnect and continue on. It’s the whole “live and let live” and allowing the friendship to evolve. My friendship spans three decades, various phases, and, yes, times when we weren’t in the same place, and yet the friendship has endured because we’re fundamentally friends. Distancing ourselves is something that many people wrestle with when it comes to outgrowing friendships. Sometimes we want to distance ourselves but are afraid of hurting feelings; sometimes we’re distancing ourselves and blaming our friends while failing to acknowledge that we’re projecting our feelings onto them. And sometimes we delay on distancing because we haven’t found replacements. We are bound to outgrow any friendship that relies on us being stuck in a role. e.g. victim, rescuer, the one who always has to be down and out. A friendship will lack depth and stop growing if there’s codependence, it’s toxic, or it’s quite simply stuck in the past. If we try to distance ourselves with “hurting” the friend, we run the risk of behaving like that person who tries to come out smelling of roses after ending the relationship. When we focus on how we look, on wanting to be Mr(s) Nice Guy, we’re far more likely to be inconsiderate of the other person’s feelings because our motivations are skewed. It’s kind of embarrassing to admit, but I don’t really have a lot of close friendships. It does make me wonder if I’m doing something wrong, or if there’s something I could change – maybe I don’t show enough of myself? Any suggestions for figuring this out and developing closer friendships? I have a friend with two small children who has kind of faded out. I thought we were very close friends. If I make the effort, she responds, but if I don’t, I won’t hear from her. Ever. I’ve stopped making the effort now and noticed that I will only get a Facebook “Happy birthday” once a year. This same friend seemed really unable to be happy for me when I was having career success and some other things going on, and was in fact quite negative about it when we did meet. I have sent messages like “I haven’t seen you in a while, miss you!”, but stopped short of specifically asking the question. I suspect she may generally rely on others to make an effort with her, but I find it hard to see this as anything other than….a deliberate fade or that she just doesn’t care. Surely if she did, she could send an email now and then? Ugh. Big time rescuer here and two unbalanced friendships ended badly when I tried to stop taking on that role and have boundaries. I have come to realize that despite my own horrible upbringing or maybe because of it, I become extremely uncomfortable when a friend is having a difficult time. And by uncomfortable, I mean I have tremendous guilt that they are suffering and I am not so I do wayyyyyy too much for them emotionally, financially and intellectually (managing household things, looking up info for them etc…). I believe these particular two took advantage of that after awhile and came to expect. Anyway, now I live in fear that if another friend has a crisis I will fall into the same pattern and the friendship will suffer. I guess I probably don’t feel I deserve what I have now because of childhood issues and feel guilt if friends are having a hard time and I’m not?? I feel like now, because I don’t want to feel that pain again with losing friends I thought were so close, I keep people an arm’s length away, which is very lonely sometimes. I used to be the same way but once i became aware of my pattern and tendencies i was able to make conscious effort to do things differently. It was not always easy and took alot of self talk. Additionally through recognizing this about myself and setting boundaries i also lost some more one sided friendships. Though i had some lonely time after that, when i met people and considered friendships going forward i took time to let people unfold rather than rush in and still do and im happier. I also no longer struggle with my past overgiving pattern. Now that you are aware of where what you struggle with it can get better. Natalie has said before sometimes we talk to ourselves in negative ways we wouldnt dare talk to others. I realized that was true for me so speaking to myself in the 3rd person to help me see things was really helpful. Even if it wasnt negative, for instance you could say “Ann, you are really struggling with taking on everyone elses emotions. This is not good for you and this is not sustainable. You really care about everyone else and that is great but you have to take care of yourself. You cannot carry everyones everything”. And if you struggle with guilt for that remember you are not being selfish because obviously you are a caring and empathetic person, you are just balancing yourself out to not be at the other extreme. You will make new friends, now you get an opportunity to let people unfold so you can have something mutual – better. And when people unfold some you wont let in and thats ok. I wish you all the best! I see wonderful things for you! Thanks for your reply and great advice. It’s nice to hear from someone who’s “made it to the other side”. I do have a tendency to not let things unfold and go all in too quickly with friends. But I definitely feel I am making progress. One way I feel it, is seeing other women (for example in a group situation) doing things I used to do and wanting to pull them aside and say “you don’t need to be doing it all/carrying all of it”. Hard to explain, but I just see my OLD patterns and feel a little bad for them. I’m still on my journey of reconciling my childhood (feeling I must not deserved anything positive/good because of the way I was treated by narc/alcoholic mother) and my adult life (I do deserve good things and can enjoy them without guilt). And also trying to remember not everyone has the same agenda and to watch out for the takers. That has always been my blind spot despite thinking I’m so street savvy because of how I had to take care of myself growing up. Thanks again and glad you are “Happy Again” ? NataLie- thank you for this episode. A few years ago I made the decision to create some distance between myself and my high school best friend. I couldn’t articulate why at the time – but I realised that whatever it was that held our friendship together was also causing me to feel depressed, self doubting and basically bad about myself. It was very hard at first because we had a lovely pattern of talking everyday and keeping in touch constantly. However – I know now that this was part of the problem – she and I have very different values – and it was hard to explain that to her without sounding like I was being judgmental of her- (and sometimes honestly I was feeling judgmental). So whenever we had conversations about relationships, society, the world – it was becoming increasingly difficult for me to connect and I walked away from our conversations feeling small “not good enough” and judged. And you now what was happening? I was growing one way and she was growing another. I don’t want to get into the ins and outs of our different values- but now- a few years later I can say that this was a great decision for me. I still see her occasionally when I pick up her daughters to come play at my house (they’re my beloved god daughters) but I’m not bound anymore to the expectations of the friendship that I now know were all her expectations (that we talk everyday- that I see her constantly- that I accede to her points of view). I wish her well – and still love her but dont need to immerse my life with hers. Although distancing myself was painful at the beginning – over time I also have met so many other people who share my core values and are a delight to be with (including my lovely and kind BF). I have found myself being more “me” and not trying to make myself small anymore. Plus its clear to me that the people I call my friends actually like me being myself and don’t try to “improve” me and enjoy hearing my point of view (as I do theirs). So- for listeners/readers who are worried about letting go of a friendship that you know on some level is no good for you- my advice is, choose you and your health. Plus- you really do make room then for others who are more suitable to come into your life. I know that this question is for Natalie, so I hope I’m not intruding by responding. It sounds to me like you’ve taken some really healthy steps in walking away from an abusive relationship – I know that could not have been easy, and you should be really proud of yourself for everything you have accomplished. From your message, it sounds as though some part of you feels like there’s an obligation for you to give your ex another chance – there isn’t. If this is how you feel, I wonder what is making you feel conflicted about sticking with this choice?